The majorly cranky was Bryan and I. I have to admit I found myself crying in the kitchen in the middle of the night at times because I was so tired and selfishly not seeing past how hard this job was becoming. When the sun came up and the girls awake its like a new day and we start again. We adjust and learn something new about them, their smiles, gestures, personailities and the night before almost seems like it did not occur. They are wonderful little girls. We were chosen for this and we have to remind ourselves that He had it planned all along. So, between sleepless nights, achey necks and backs of Bryan’s, another episode of cold sores and mastitis from me we are officially toast! But, like all parents we have found resilience in our little ones to keep truckin’ on because they are 100 percent worth it. This week they will be considered officially “Term” babies. 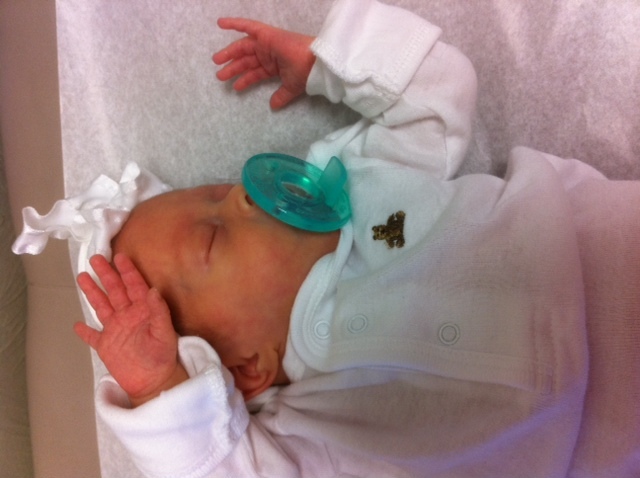 We have seen our pediatrician three times now and she is utterly amazed at their progress over the past two weeks. Avery is 5’15 and 18 3/4 inches long. 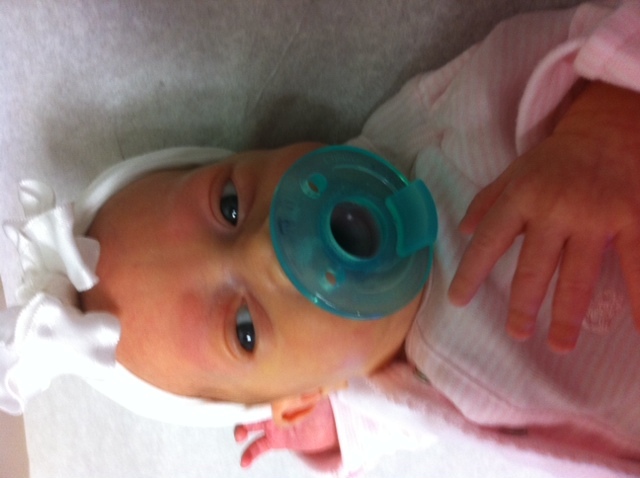 Just eight short weeks ago she was 3.7 pounds and 15 3/4 inches. 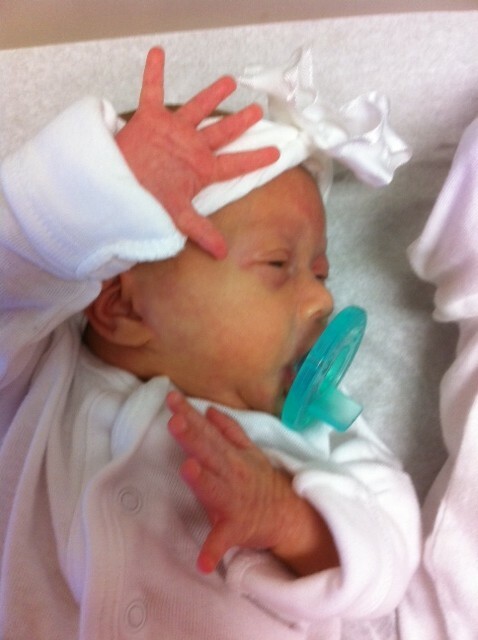 Camdyn is 5’12 and 18.5 inches – from 3.2 and 15.5 inches. 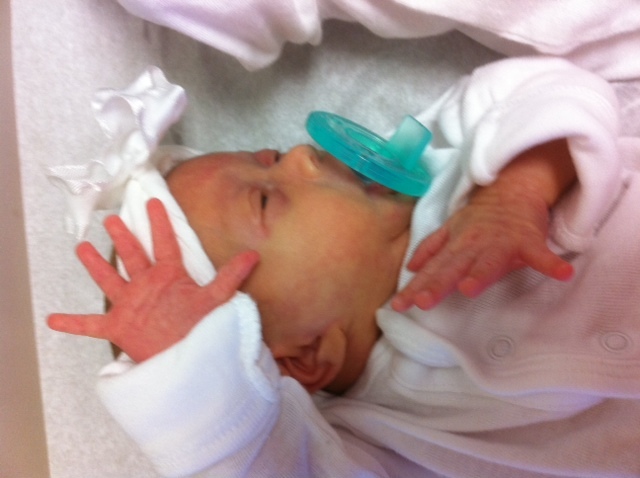 And never last is Emily who is 5’6 and 18 inches which is up from a shocking 2’11 at birth and 15 inches long! 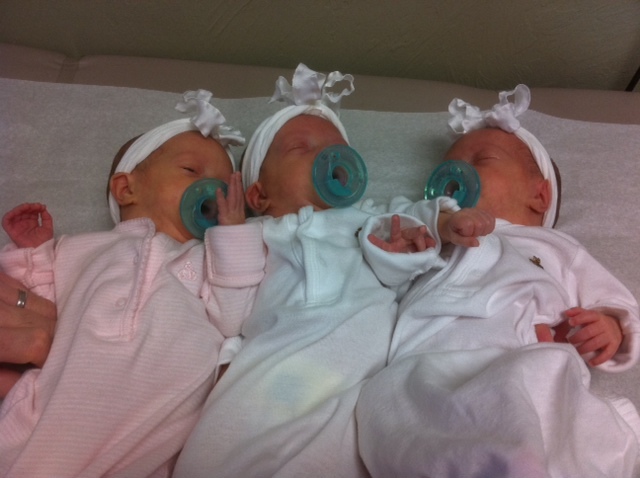 They are truly amazing babies. I am not just biased but we hear from doctors all the time we should be so happy about how the Coy girls surpassed all expectations by a landslide. And…we are! 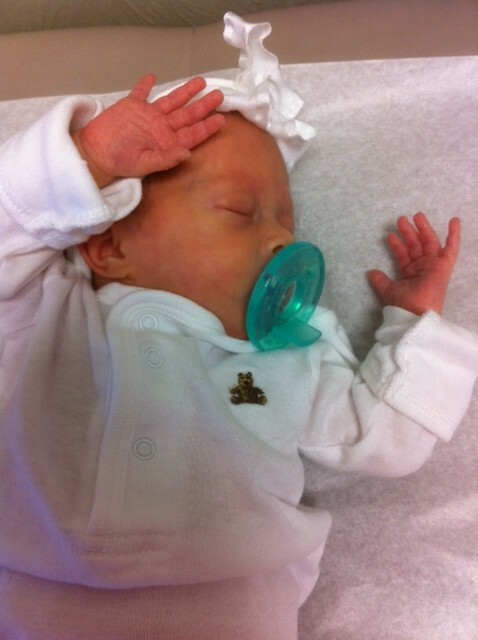 Today, they had their two month well baby checks which meant shots…lots of shots. They took them like warriors, but Mommy cried. Daddy was good at soothing and held their little hands. Bryan says they are “tougher than boot leather” and he is right. Enjoy these pics! We love seeing their interaction with each other recently. They were apart for six weeks, so they are playing catch up! 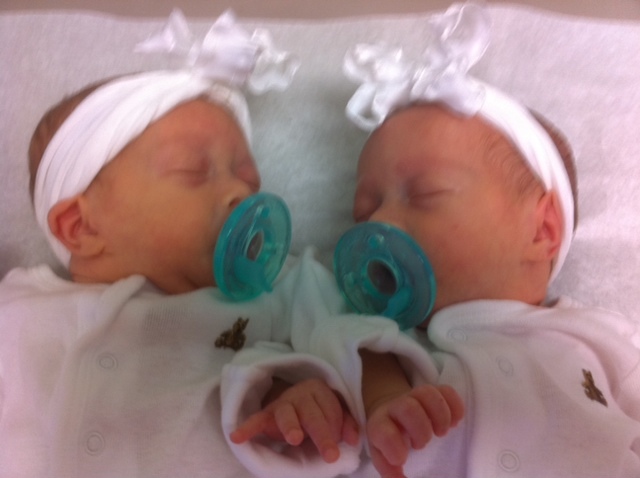 Please continue to pray for these girls and our health and future challenges ahead as well as their caregivers. Your love definitely shows “big time” as you talk about your new family. What a challenging but utterly wonderful time in your lives. Strange how that works isn’t it? God has so blessed you and you have blessed us by sharing your awesome, but tiring, experiences with all of us. Thank you….and hang in there…it really does get better! Steph – look at my blog (keepingupwithjohnjones.blogspot.com) and to the left there is a link to another blog called “Jesus and Starbucks”. It is a firend of mine that has young twin boys and a newborn. Today’s post is very inspiring and there is a great idea about writing down the best and the worst thing that happens each day before you go to bed…. just read it… I think it is a great idea and it is SO TRUE!